Combining style and function, our chessboards are a spectacular accent to any living room or gathering place! Each chessboard is hand crafted with multiple variations and combinations of wood hand chosen by the craftsman. Some are complex designs with inlays and exotic wood, and some are of a more simple design. 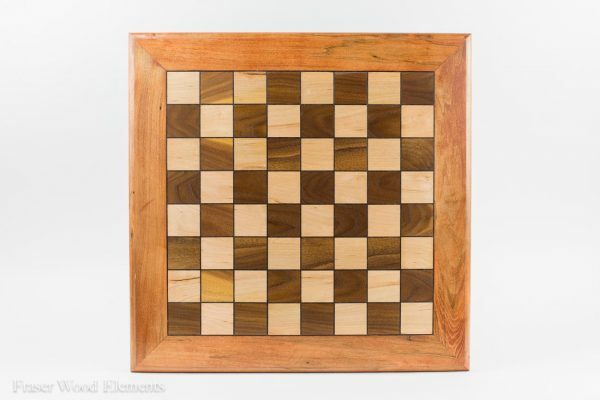 All of our available chessboards are located in store. Come on down and pick one out!